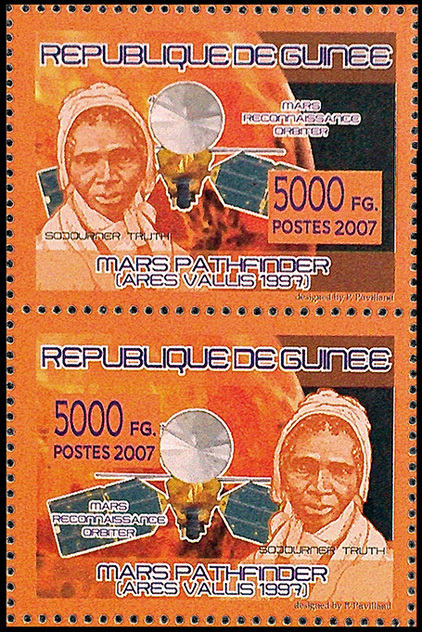 My image of the Mars Reconnaissance Orbiter (MRO) was issued on 2 stamps by Guinea in 2007. 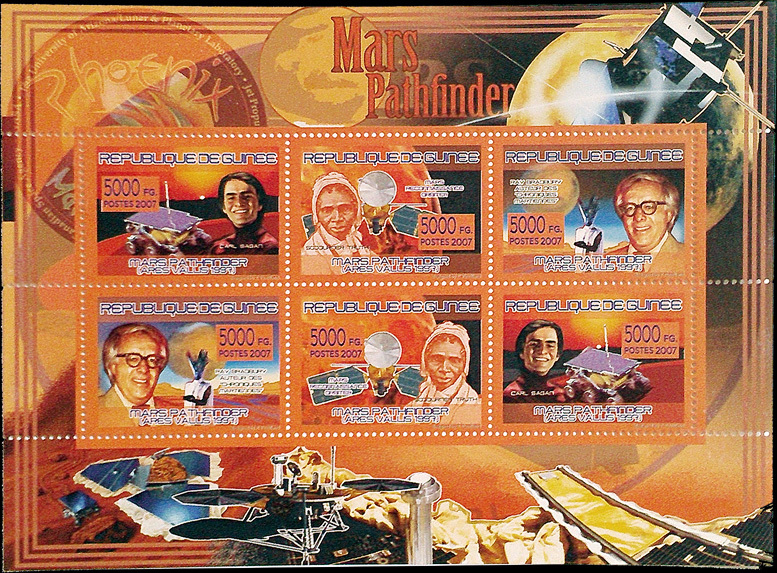 The souvenir sheet commemorates the successful 1997 Mars Pathfinder mission which included the "Sojourner Rover". The African-American anti-abolitionist Sojourner Truth is shown on both of my stamps with MRO. Carl Sagan and writer Ray Bradbury are seen on the other stamps. The sheet also includes my image of the Phoenix Mars Lander. Below are my 2 stamps.